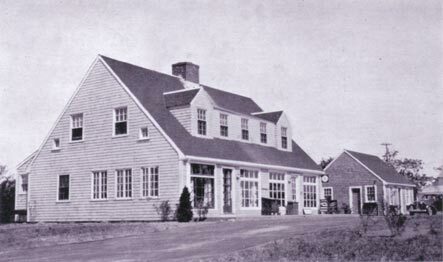 On March 5, 1952 Ed & Bernice Brown purchased the Barton Store on the corner of Samoset Road and Route 6 in Eastham. The property included a general store, the Windmill Spa and Cabins, and the Eastham Post office. The Browns re-named the store the Eastham Superette, but it also became known as “Brown’s” to members of the community. It quickly became a meeting place for the town of Eastham, as people often gathered waiting for the afternoon paper and the mail delivery. Ed & Bernice ran the store with the help of their three sons Ned, Peter, and David. All three boys eventually left the Cape to pursue their careers. David became a teacher. In the mid 1970s Ed began to talk of slowing down, and David and his wife Janice decided to return to Eastham to help to run the business in 1977. In 1988 Sarah (Brookshire) Wilcox, a native to Eastham, began working at the Superette in the “bottle shed”. This was Sarah’s first job, and she continued to work at the Superette throughout her high school and college years. Sarah graduated from Bridgewater State College in 1997, and was married to Ed Wilcox of West Barnstable in July of that same year. Ed is also a graduate of Bridgewater State College. 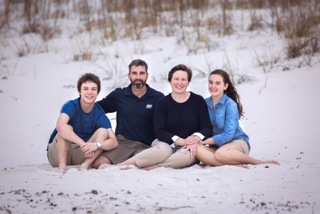 Sarah and Ed returned to live on the Cape, settling in Eastham after getting married. Upon the birth of their son Owen in 1999, Sarah returned to work at the Superette part time. In 2001 Sarah and Ed had a daughter, Hailee. As the children grew older, Sarah took on more hours and more responsibilities at the store. Eventually Sarah was working full time and helping to manage the store. Soon it came time for David to follow in his father’s footsteps and slow down as well, and begin to enjoy retirement. With the urging of Ed’s parents, Sarah and Ed offered to purchase the business from David. On June 25th, 2012 Sarah and Ed Wilcox bought the Eastham Superette. Sarah and Ed came to the endeavor with great understanding of the importance of maintaining the Eastham Superette as the community store it had become. With the help of Sarah and Ed’s children and family members, the store continues to maintain its charm created under the Brown family’s sixty year stewardship.